Talk to any of our joint franchise owners and you’ll realize that couples can be extremely successful business partners no matter who they are or what background they come from if they have the right tools, business plan, and mindset. To help you and your S.O. 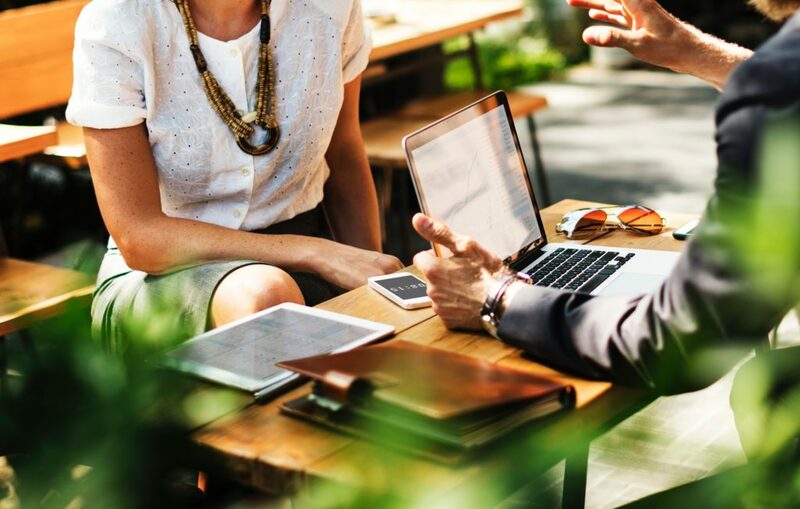 on your own journey to business ownership together, we gathered some information about why franchising is a particularly good path to business ownership for couples, some tips for tackling your business together, and a few ways our franchise owners strike that perfect balance for maintaining a healthy relationship. Many franchise playbooks are built for two. When you buy a franchise, you get a proven system for setting up and operating your business. This is one of the main reasons people choose to buy a franchise instead of starting a business from scratch. Some franchises are set up to perfectly fit two owners, making it ideal for couples. In these systems, roles and duties are split up and distributed among both people, making it clear who needs to do what. This way, both people can be sure they’re tackling everything that needs to be done without stepping on each other’s toes or letting important things slip through the cracks. 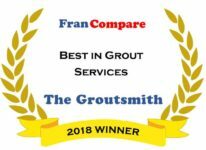 Here at The Groutsmith, our franchise system is perfect for couples. While one person can focus on admin work at the office, the other can handle job estimates, technician assignments, and demos for new customers. Talk to us about how we can set you and your spouse up with a business model perfect to tackle together. In order to be productive, each person should have specific roles and responsibilities. There also needs to be a designated decision-maker recognized throughout your team. As both spouses and co-owners, couples need to hold each other accountable. This can obviously cause serious problems when handled poorly, so ideally, both people should be committed to holding themselves accountable first. Designate who is responsible for what so issues that are brought up can be decided on. While both people should have input on the approach and strategy, there be should no question about who makes the final call. 2. Don’t let the business relationship dominate the personal one. Set work hours and time reserved to focus on your personal relationship. In the beginning, you’ll probably talk about the business nonstop. But as operations become natural, make time to ensure your relationship is more than just the business. Being around anyone for too long can lead to problems. Make sure both of you have the space you need during the day and check-in as if you don’t work together. Simple things like asking how the other person’s day went and if they need a hand with anything can go a long way in keeping a relationship a happy and productive one. 4. Take time to celebrate success together. Entrepreneurial life can be intense at times. One major benefit of taking it on with your spouse is having someone to share both the workload and also the reward. Recognizing business success together is something few couples ever get to do and it can strengthen your bond in profound ways. Make sure to take time to celebrate your successes together. 1. Build respect for each other. Personal respect and business respect need to go hand-in-hand for a married couple owning a business together. Unfortunately, it can be easy to lose respect for someone and not even realize it until it’s too late. This can happen when a couple consistently disagrees on how to run the business. A marriage that may have been perfect before a business venture can sometimes fail when they end up losing respect for one another as business partners. Even in the healthiest, happiest relationships, there will be moments when one or both partners feels disrespected. This in itself doesn’t have to be a dealbreaker for a business partnership. Have an open, honest discussion with your partner about how you feel about any potential ways a business may pose a respect problem and solve them ahead of time. 2. Make sure you’re both equally committed to the business. Successful partners are almost always fully devoted to their business. Even if one person does more work than the other, no one is sitting back. If one person is constantly trying to grow the company, while the other is content with stagnancy and complacency, resentment and anger will build. 3. Agree on goals together. Many spouses wrongly assume that just because they’re committed to spending the rest of their lives together, they’ll naturally share the same goals for their business. If one person wants to stay a small business while the other wants to scale it to be a multi-location operation, it could be a big problem. Make sure everyone is working toward the same thing. Have you ever come across a married couple that deeply respected each other in their business, but had zero disrespect for each other personally? What about vice versa? Probably not. Happily-married couples that start a business together usually end up respecting each other even more or losing respect entirely. Personal and business respect go hand-in-hand for a married couple. Couples will likely lose respect for each other if they consistently disagree on how to run the business. An easy way to find out if a couple respects each other is to ask their employees. They are the first ones to sense it and can usually foresee if the couple will last. The sad part is, a marriage that may have worked pre-business partnership, will likely fail once they lose respect for each other in business. Once lost, it’s nearly impossible to get back. 4. Make sure each person is suited for their role. If one or both people realize they are not suited for the position, the couple has to make a decision: switch roles, or step away. Staying in a role that is proving damaging to the business will likely hurt both the business and marriage, so be sure to plan this ahead of time. Interested in a franchise that works perfectly for spouses? Click here to learn more about The Grousmith’s franchise opportunity. Want to start a conversation about owning a franchise of your own? We’d love to talk. Click here to contact our team and learn more.